Thank you, Wolverine Study Volunteers! Suzie Kretzschmar shows students her basket of feet! 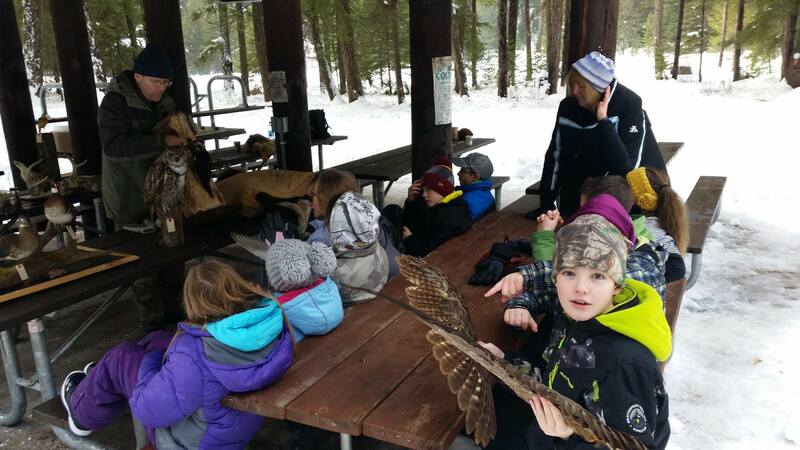 The 2016-2017 season of the Friends of Scotchman Peaks Wilderness’ (FSPW) Winter Tracks program was the most successful season yet! The program experienced significant growth from the previous season, almost doubling the number of students attending! Over the nine program days, FSPW served 353 students from nine schools in three states and four separate counties. This, of course, could not have been possible without the help of 49 unique volunteers who contributed 438 volunteer hours teaching, cooking hot dogs, directing small groups, and keeping everyone warm and safe (which is no easy task in the winter). Hands on learning with Gene Reckin in Libby. The experience as a whole could be looked at as a lesson in itself, a lesson of how to stay warm and dry even in the most adverse winter conditions! 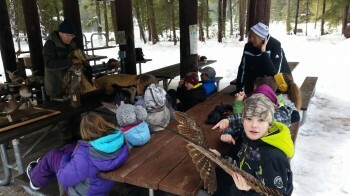 The following schools joined FSPW for a day in the snow: Thompson Falls Jr. High School, Libby Elementary School, Troy High School, Kootenai Valley Christian School, Forrest M. Bird Charter School, Noxon Middle School, Sagle Elementary, Clark Fork Junior Senior High School, and East Farms STEAM Magnet School. To learn more about the Winter Tracks program, visit our main Winter Tracks page. To get involved, email wintertracks@scotchmanpeaks.org.